Complete a puzzle to spell a word, while developing a sight-reading vocabulary or use the letters for stenciling. 64 colorful wooden letters fit into the 8 two-sided cutout boards to spell three- and four-letter words! 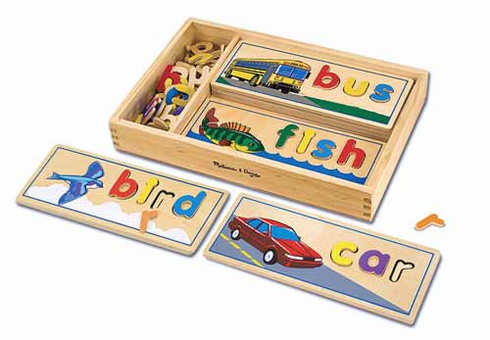 All spelling and fine motor fun fits into one compact wooden storage case!